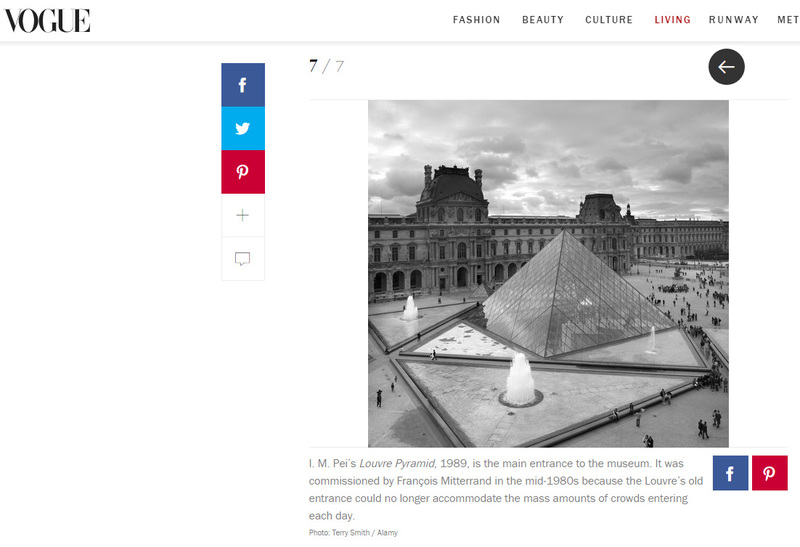 My black and white photo of I. M. Pei’s “Louvre Pyramid” in the courtyard of the Musée du Louvre has been used by Vogue for their website article 7 Things to See at the Louvre Other Than the Mona Lisa. Vogue.com licensed Terry Smith’s photo of I. M. Pei’s “Louvre Pyramid” in the courtyard of the Musée du Louvre for an article. This entry was posted in Licensing and Subjectged Paris.